Experts from the National Archives of the Republic of Cuba (ARNAC), headquartered in Havana, began digitizing least 300 maps of their holdings and collections of the institution, local media reported today. Related to the war of independence of Cuba in 1895 and the Revolutionary Party created in 1892 by the hero of the island, José Martí, documents are among those that pass to electronic format, explained the director of the National Archives, Martha Ferriol. Editions of 1902-1959 the "Bulletin" of ARNAC, considered the oldest in Latin America, more than 1,000 photographs and all materials requested by users are included in the plan of digitization, said the director, quoted by state agency National information. Services to query and locate documents, photographs, prints, albums, cartoons, maps, plans, atlases, books and periodicals, as well as references, were requested by nearly 29,000 Cubans and foreigners in the past four years, according to statistics. In 2014 alone, the center of historical and heritage documentation was visited by 7,600 people, according to data from the institution, which holds nearly 27.5 kilometers of documents, considered the greatest testimony to the history of the Cuban nation. 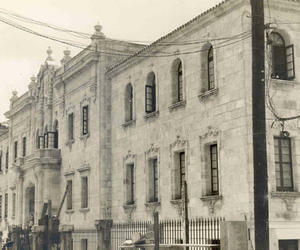 The ARNAC, founded on January 28, 1840, is the fifth of its kind created in Latin America, which initially General Archive of the Royal Treasury was called, after those of Argentina (1821), Mexico (1823), Bolivia (1825) and Brazil (1838), to preserve and protect documents. Among its functions, performs the archival processing of funds and collections, archival research and preventive and curative scientific and technical themes in archival preservation of records, workshops, events and exhibitions purposes.